Today I thought I'd do something a little different. A lot of design blogs are doing 'dream living room' posts with an eye on furniture from Arhaus.com and I thought I'd do one too, but with the Hugs touch (aka, no moodboards, I don't know how to make those.) Plus, it's so simple. It's this! Well, I have a little more to say than that, because hello, Chatterbox Here. 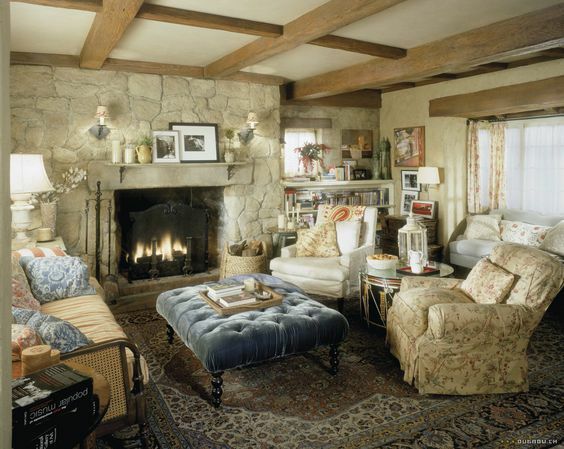 This living room is part of the set from The Holiday, starring Kate Winslet and Cameron Diaz. This was where Kate Winslet's character got to put up her feet when in the UK - I didn't see this movie but isn't it the one where the two main characters swap their houses, and each fall in love with some guy in the other one's country? If I'm honest, there are very specific reasons I haven't been able to forget this living room. I can't stop looking at THAT BLUE VELVET BENCH THINGY. The rest could all go, really. Maybe even everything but the blue velvet bench thingy which is the first and last thing I see when I look at this picture. My preference is for a blend of all three, and if you're a crafty person you know why. If you don't have lots of seating, how can you fit in all your needleworking friends for a social hour? And of COURSE you have to be cosy for fiber related activities. Crafty people are tactile by nature and always collecting different textures which eventually produce Cosy. Or Chaos, but beauty is in the eye of the beholder. Finally, TV is the knitter's friend. On top of all that though, I would want a living room that says "Hello Mary, welcome home, I love and cherish you no matter how many stupid things you did or had happen to you today, and I'm here to make you feel safe and creative and productive even if all you end up doing is collapsing on a convenient feather-stuffed cushion to consume Turtles while watching Pride and Prejudice for the 64th time, because after all, Pride and Prejudice needs to be watched and who else could possibly do it?" And then ends that very long run-on sentence and lets me just sit quietly for a while. Judging by my reaction to the Kate Winslet Stage Set, my dream living room has to have blue velvet in it. 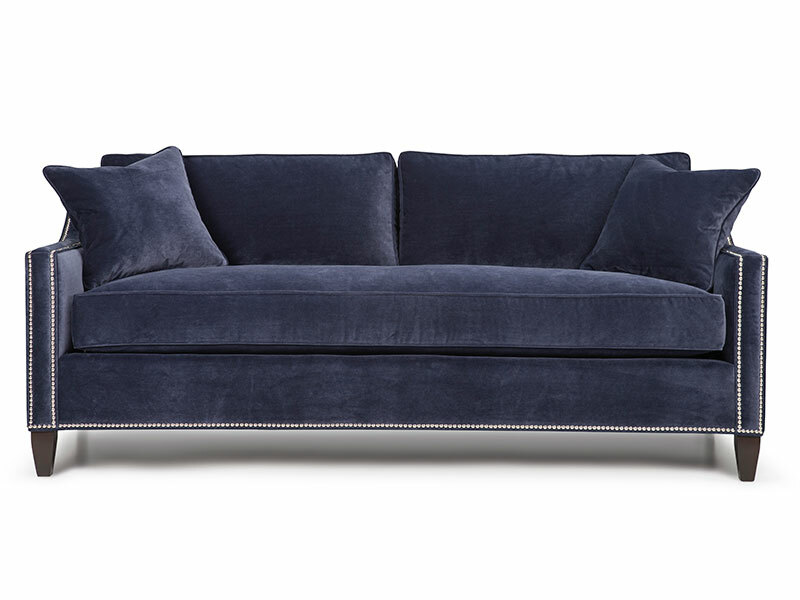 And since I am absolutely besotted with the blue velvet daybed I bought for my office, and had already ordered a sofa in the same fabric for our soon-to-be living room, I am very happy to be able to show you a picture of same as my ideal sofa. Just try to imagine there being enough space for the full size version instead of the much smaller condo sized one I purchased. Less the rivet things, though I wouldn't refuse delivery if that's what came to the door. This really is my sofa by the way, right down to the blue velvet, from Barrymore Furniture here in Toronto. 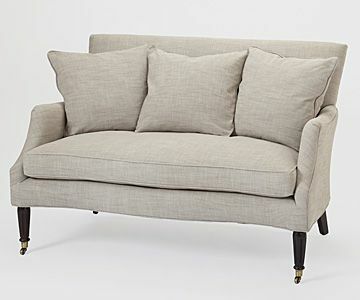 Generally I prefer a more English-style sofa, the one with the very gently curved arm and sloping undercarriage, but this flatter arm shape is way more compact and lets you snug a table right up alongside, so we will forgive it its mid-century modern leanings. I mean I love that look too and have had tons of retro pieces and prints over the years. No shade cast upon the mid-century modern thing. Worth noting: the cushion is and should be stuffed with a huge amount of feathers so you sink right in. Once you're sitting down you want to be able to claim, plausibly, an inability to extricate yourself so that somebody else will fetch you the sandwich you forgot on the kitchen counter. The trouble with sofas is that they aren't so great for sharing, necessarily. They might seat three, but you can't sit beside somebody to chat with them while you are both facing forward. If you can only have seating for two in a room it's so much better to have armchairs angled toward each other as in The Holiday's English cottage living room. And armchairs are not a bad bargain, either. If you do have armchairs (and they are exactly the right width) you can prop your elbows up as you knit a quality I appreciate enormously. But... it's an armchair. You can't lie down on it, which is exactly what you will want to do after your guests are gone, having restrained yourself throughout their visit because Decorum. I love this thing so much. I'm protected by the fact that Pete really dislikes it from noticing the way that its arms are too low to support your back if you swing sideways to knit with your legs stretched out, or that it's a bit short for stretching your legs out in the first place, or that the metal wheels would probably scrape etchings out of your wood floor, or leave giant wheel-shaped dents in your carpet. All I have to think about is how gorgeous it looks, and how soft the linen is, and how deep and squishy the seat and back cushions feel. While sitting on the blue velvet sofa instead, the better to admire it without complaint. Although actually, one might also consider switching from the velvet to the linen sofa or vice versa depending on the season and the textile work being undertaken. Cuddly velvet for winter knitting, cool smooth Linen for summer, or for spinning. See? Lavish sofa purchases: they're almost sensible. 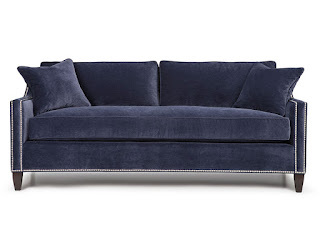 Typing that I feel a bit foolish for choosing a velvet sofa and a sort-of corduroy fabric for my armchairs, because MAN am I going to be vacuuming up a lot of fluff from upholstery in our new living room. But enough already: we have a big velvet sofa now, between two (yes, why not?) of the Napa Valley Settees which are facing each other. And then maybe two armchairs facing the sofa, except in that scenario, where are the fireplace and TV? Never mind, it's a dream living room, it would all work itself out. Horizontal Surfaces is what tables got called when I was growing up, as in, "Every horizontal surface in this house is covered with books!" Yeah, we were all readers at home, and woe betide anybody who put one down to go and get a snack or use the bathroom because when you got back, chances were good that somebody else would have wandered in and started reading from the beginning. You're probably thinking I would choose for a coffee table the giant blue velvet bench thingy in my inspiration picture but No! I would not. Because even in my dreams I know that dust and toast crumbs happen and those deep valleys for the buttoned detail would be a daily nemesis for me. Plus, I like to be able to slide a tea mug onto my table rather than lifting it over the edge of a tray, and anyway let's not pretend I would ever do anything but swing my legs up onto the sofa. It's not like I would need the squishy bench. 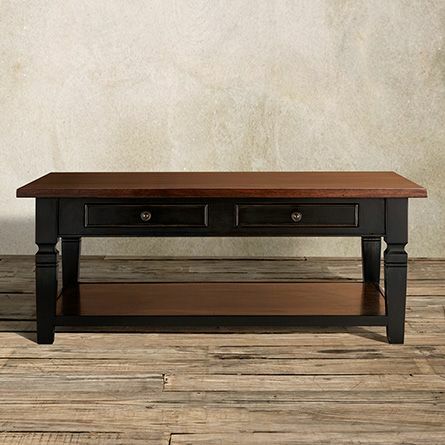 You probably know exactly why I love this table. It ticks all the critical boxes. Drawers to store the tape measure, darning needles, stitch markers, scissors, and playing yards (hey, I love euchre and cribbage, don't judge me.) Ample space below for baskets or stacks of books (the version I have on my shopping list is missing the shelf, but I can still stow baskets and probably vacuum with less effort so, tradeoffs), and a large surface for draping a runner and vase of flowers over, or to serve snacks on, or support a cushion, or host your mug of tea. PERFECTION. To me, this is a genius piece of furniture. 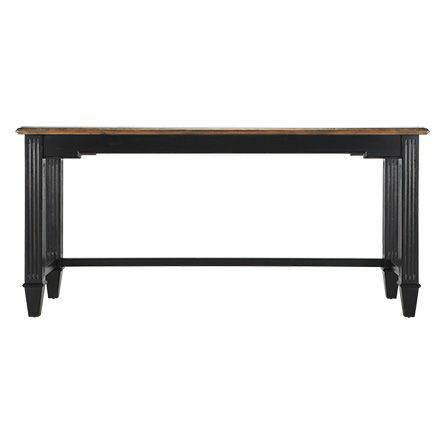 It has black carved legs, a parquet top which gives texture, the brace is across the back legs instead of the middle so you can push in a chair or bench underneath it, and it is only about 10" short of the length I need for my office and 3" too deep. Do you know how hard it is to find a desk with its brace in a logical place, a shallow depth, and a wide, uninterrupted work area? It's really hard. In my dream living room, there would be space for this one. Of course you need side tables too, if you're having table lamps or don't have enough coffee table surface for a plate of cookies. Mine would be square, with four legs so you can stack books under it, and have marble tops like in a Paris bistro. I love marble and it's looking a lot like I'm not getting any in my actual living room, not even around the fireplace. So let's pretend I found the perfect ones and imagine them repeated around the sofas. .... or more likely Amanpuri, in linen, also from Sanderson. 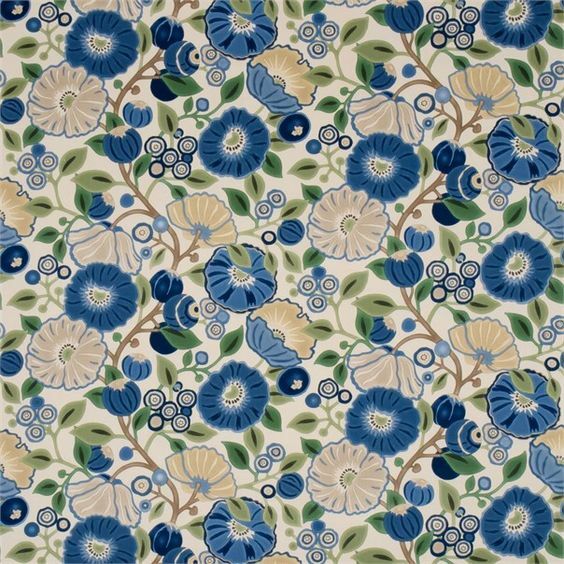 They are both reproductions of 1920s English prints and I love them both, but Amanpuri has more colours to play with which is why in my actual house the Tree Poppy will be in the stairwell and the Amanpuri gets the living room and my office. If you're going to relax in a room, there's a serious risk that you might get cold. Or you might suddenly find yourself in need of a hug. Or a scary scene might come on the TV and leave you looking for a makeshift wall to hide behind. A really good blanket can solve any of these pressing problems for you, even the interior decorating kind one calls a 'throw'. Technically a 'throw' is smaller than what you'd put on a bed, and should appear as an afterthought, strewn over the arm of a chair as though casually left behind when rising to perform some elegant domestic task such as making more tea, or wrestling the recycling out the side door to the bin on a commercial break from the scary movie running on your TV. Because it is an interior decorating feature, the throw's colour and print should play nicely with the other features of the room and its texture matters. For example, in a room with velvet and linen, a boucle fabric would look good, or a loose-weave cotton or something. In my dream living room, however, the most important quality is SOFT. The blanket has to be soft. And long enough to cover your feet, because it's entirely possible that you sat down, then curled up, and now can't move, only to realize you forgot to leave a pair of handknit alpaca socks within reach. At the Royal Winter Fair this year I bought myself a sort of cape/wrap thing in a 100% lambswool plaid from Patrick King, and it is wildly soft and cuddly. Patrick King also produces blankets. Sadly none of them combine the right colours for my dream living room. 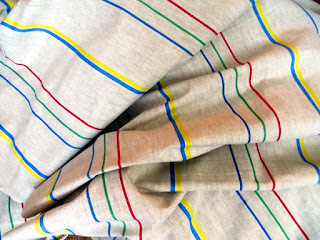 So instead, let's go for a blanket from MacAusland's Woolen Mills in Prince Edward Island, since I had a memorable vacation there one summer with my family when my age had only just entered double digits. 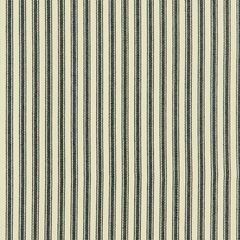 A nice natural wool with either a blue or red stripe depending on which curtain fabric I chose. Let's just pretend the blue stripe and the blue poppies are a perfect match, okay? And if in person the cream colour proved to sort of scream at the linen sofa twins, it could be stowed in a natural woven basket or on the lower shelf of our coffee table. 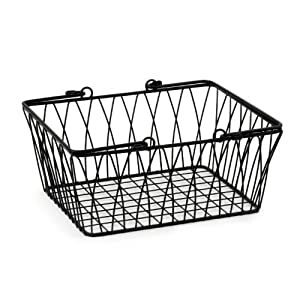 Baskets are a hugely textural element to include in a room, so my dream living room would need one anyway... though it would have to be lined with fabric if blankets were getting tossed in there all the time. 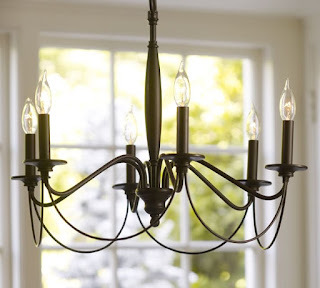 Or maybe a black wire one would offer a fetchingly rustic note? Hmmmm... I am feeling pretty smitten with this basket. Okay, this one is a biggie. A lot of designers are saying now that throw cushions really do make or break a room and I can see why, but only partway, because - have you noticed this?? - a lot of designers seem more engaged by appearances than function. In a crafty person's living room, cushions perform very specific tasks. They might raise your head just enough to see past your knitting needles, when you are watching TV in horizontal mode. They might prop up your elbow when you are knitting at one end of a sofa and missing the other armrest, or when you are in an armchair too wide for your frame. They might tuck behind your back to give you a little more support and push you forward on the seat while operating your spinning wheel. They might get thrown onto the coffee table to elevate, and/or to protect the back of your legs, from the surface and edge said table. Okay, those last two could be performed by a designer's choice of standard cushion shape. 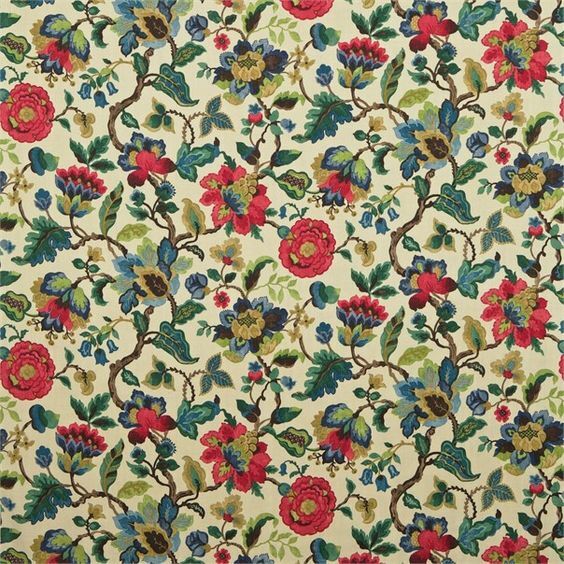 And in my dream living room, in addition to a few small pillows in the drapery fabric the better to bridge it further into the room, the fabric I'd use would be sewn from Sanderson's linen Roslyn print in its palest colourway, which looks fabulous with Amanpuri. You wouldn't expect that, but it really does! 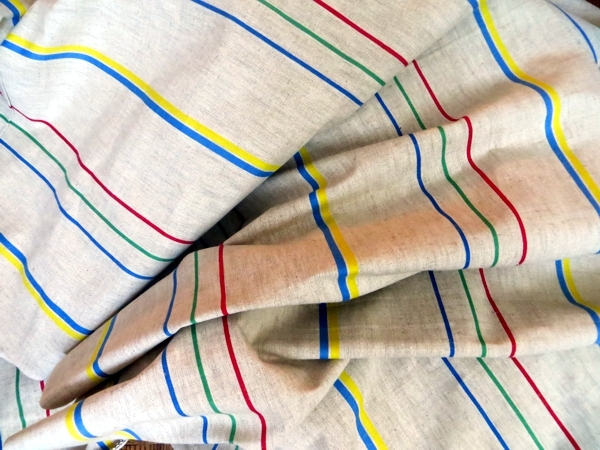 or maybe a vintage linen tea toweling such as the one I sourced for our kitchen windows, instead. To use both would be way too much stripings. I like a soft dense fringe on a pillow so - some would be trimmed with that, and some would have a crisp piped edge, and there would be a mix of sizes for stacking. throw cushions do not have to be square shaped, or round, or tubelike. They can be rabbits. 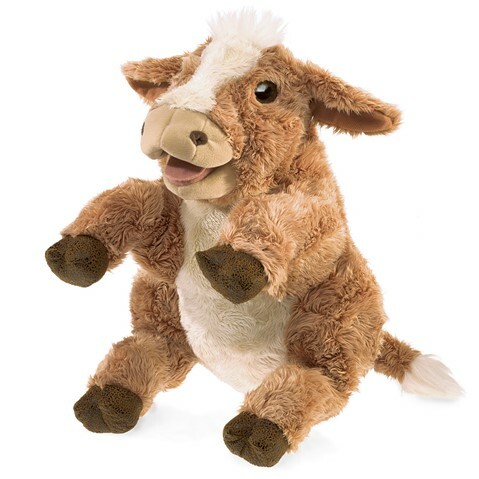 Okay, LC (a hand puppet from Folkmanis, not a real calf) isn't stuffed quite enough to serve as a pillow but she is so happy-looking and would be adorable - or, in Interior Decor terms - 'whimsical' peeping out from behind a feather-stuffed square cushion. LC came home with us from the Royal Winter Fair this year and honestly, she never gets old. If you have a bad day, you need one of LC's sister cows for your home. The key to using stuffed animals as cushions is not to go overboard (poster child for overboard = me); buy animals made from only the softest fabrics; choose a variety of sizes and shapes to fill different gaps in cushion usage; and stick to fur colours that go with your decor. After that, you can factor in cute. There is never ever a shortage of cute. 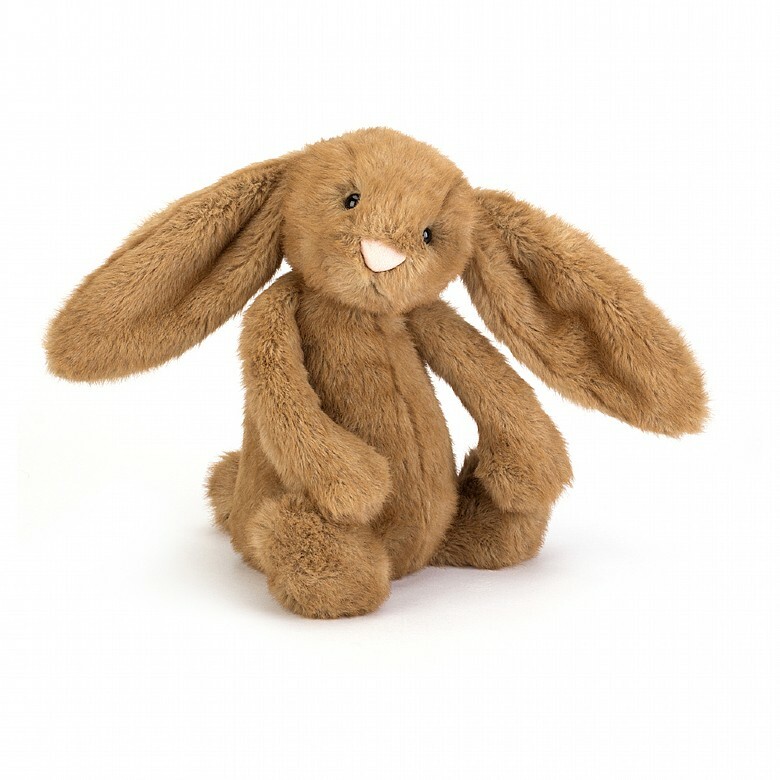 Why choose inanimate furry friends for some of your cushions? 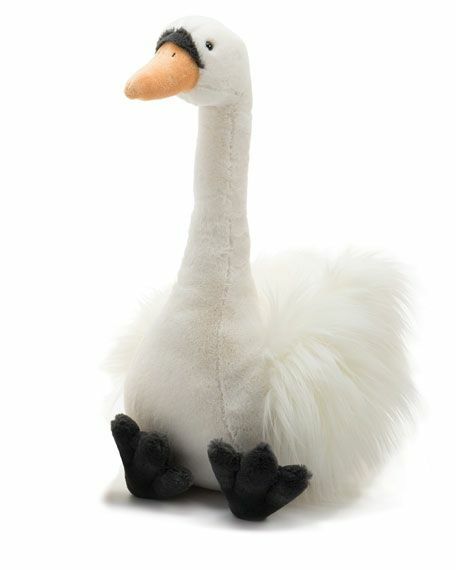 Because in addition to their oddly-shaped usefulness, they are cheerful and funny and if the only way you can get a crafty friend over is for him or her to bring a small child with them, said child is guaranteed a good time in your dream living room. Of course, you need to have art on the walls, especially if you are crafty. It's very very important for good vision to look up from your work from time to time and focus on something in the distance - what better something than a beautiful thing? 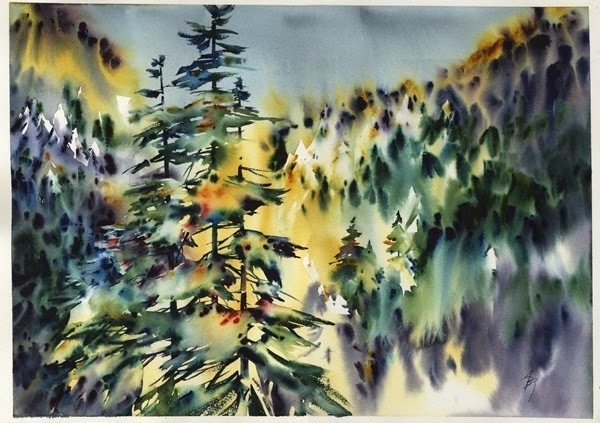 Ady was at a huge crossroads when she painted this, and I was present for most of it by phone. After it came to live with me, the painting hung in my front hall on the wall facing our kitchen wall, which housed (on the kitchen side) our telephone. I spent SO MANY HOURS on that phone over the years, talking to loved ones who are gone now, or to loved ones who were in desperate situations and calling to ask for advice or sympathy, which I always feel is a tremendous honour even at 11:30 at night (unless I have to get up at 6.) Inevitably I would have the cord stretched around the corner, leaning on one wall and gazing at Ady's painting on the other. As a result, these trees have valuable people and memories lingering among them. It is the perfect living room art for a creative woman. Also a favourite: vintage plates. 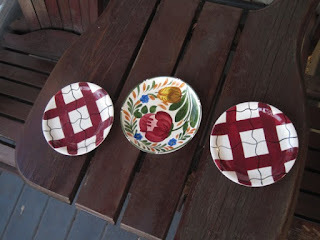 I am a huge fan of dishes and for years I had these, and others like them, hanging on the wall in our old living room. They made me so happy. Still do, only at the moment they lie on a table with sweets or a candle resting on them. Can't wait for them to go vertical again. Another dream art item: enlarged and framed photographs. I took so many pictures of clouds the last few years at the cottage, and when I colour corrected some of then I got combinations that would look amazing with the Amanpuri drapes. Maybe with the Tree Poppy ones, too? Yum. Still love this picture. 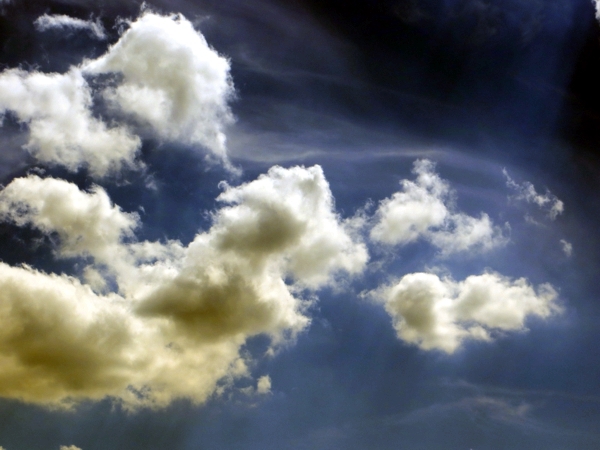 If it was made big enough, you could see probably a thousand different things in these clouds. 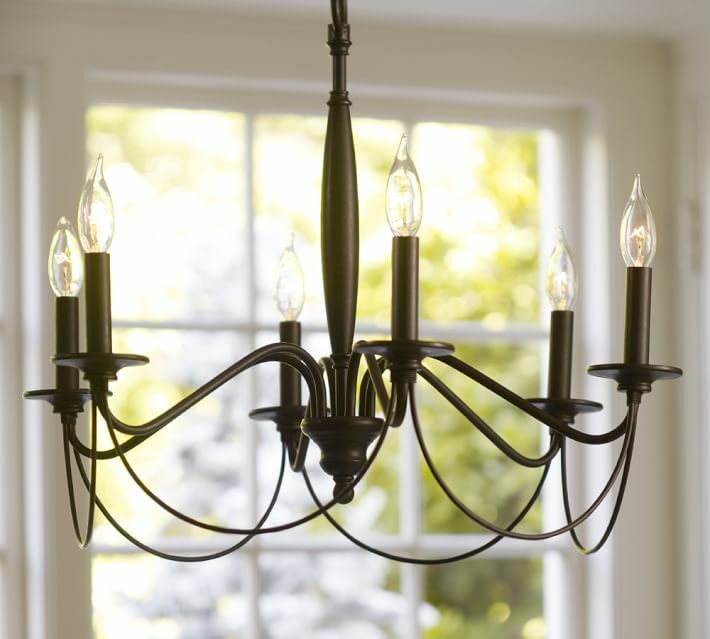 Lighting is important in any living room but crafty people need task lighting. 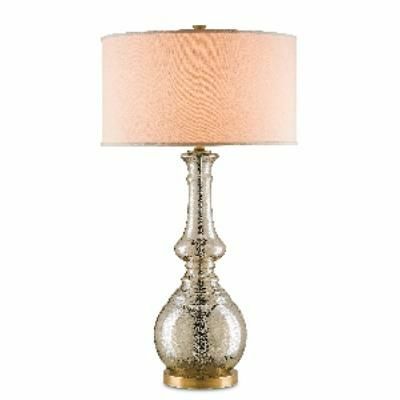 You need a good overhead light in case you find yourself cutting out fabric on your nice roomy non-velvet coffee table, table lamps to spotlight where your bowl of current knitting stands, and floor lamps to provide swing-arm lighting. and 'Yolanda', a fetching mercury glass table lamp from Currey and Company which I could only ever afford in a dream. 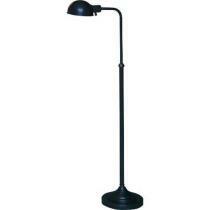 Probably it's too fancy for the pharmacy floor lamp. What do you think? Bad combo or charmingly mismatched? The stand for the Ashford Knitter's Loom. Need I say more? 4/ a stack of coffee table books of portraits of famous people, because faces are so fascinating, especially as they change over time. Well, that was a very long post. Did I miss anything, apart from a carpet? I would be skipping that, the better to admire my beautiful wood floor. What would you put in your dream living room?